Players line up in two lines behind baseline outside lane lines. First player in line 1, and second player in line two have balls. 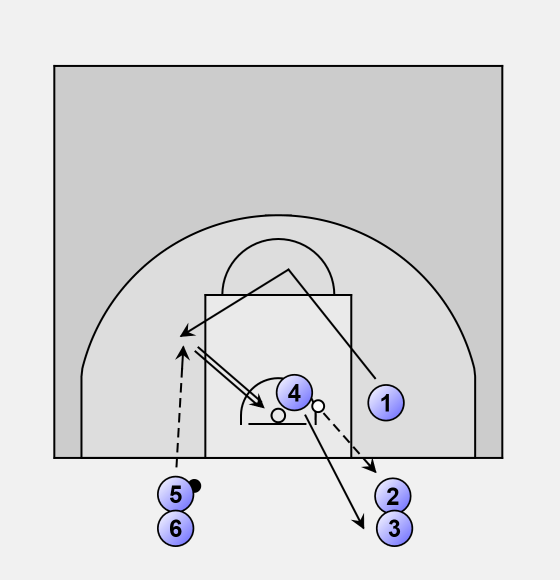 First player in line 2 (4), runs past free throw line and cuts to opposite side calling for pass from first player in other line (1). 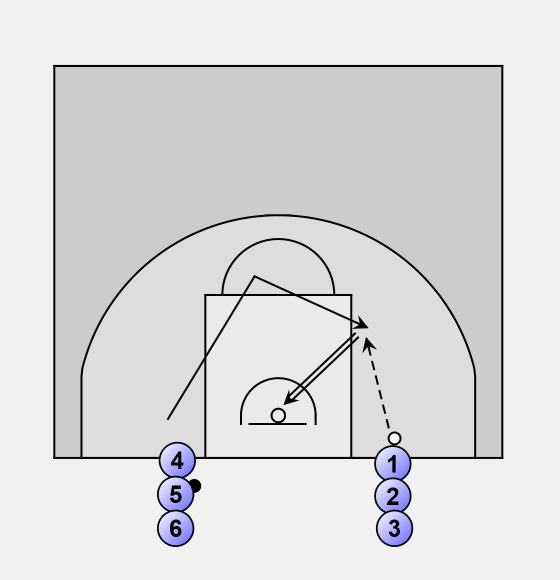 Player (1) passes to (4) who takes jump shot. After passing to (4), (1) runs past free throw line and cuts to opposite side looking for pass from (5). Meanwhile, (4) has rebounded own shot and moved to end of other line. (1) shoots, rebounds and passes to (6). (5) has begun cut looking for pass from (2). Drill continues in this manner with players passing, cutting, shooting, rebounding, passing and changing lines. Time how many made shots in certain time.